During my tax reform round table, I displayed the complicated forms we currently use to file taxes, and the simple post-card style system created by the Tax Cuts and Jobs Act. 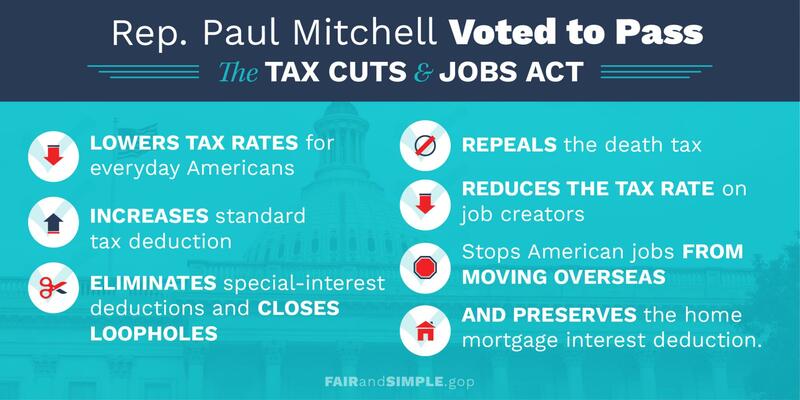 Last week, the House passed the Tax Cuts and Jobs Act with my support. This legislation keeps us on track to deliver tax reform to you by Christmas. The Tax Cuts and Jobs Act achieves tax savings across income brackets by reducing our tax brackets to 0, 12 percent, 25 percent, and 35 percent. It maintains the current 39.6 percent bracket for the highest income Americans. On top of the savings from reduced tax brackets, our plan nearly doubles the Standard Deduction from $6,350 to $12,000 for individuals and $12,700 to $24,000 for families. That means single filers would not pay taxes on their first $12,000, and joint filers would not pay taxes on their first $24,000. 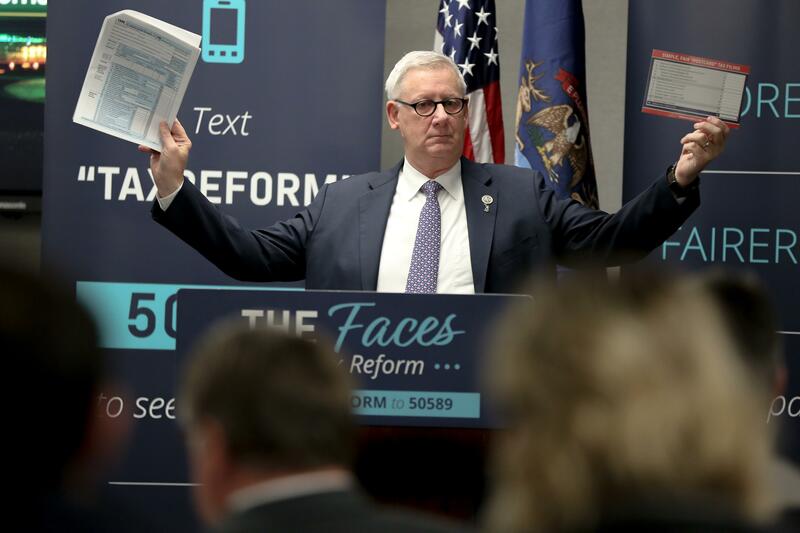 Throughout this process, my approach to evaluating tax reform has been a simple question: will this improve the lives of people in Michigan's 10th District? The clear answer is yes. In fact, three independent economic reviews (Tax Foundation, Joint Committee on Taxation, and Tax Policy Center) found the House tax reform bill would provide relief at all income levels. The median family of four in Michigan’s 10th District would receive an annual $2,229 tax cut by taking the new, larger standard deduction. The median household earning $60,934 would receive a tax cut of $2,191. 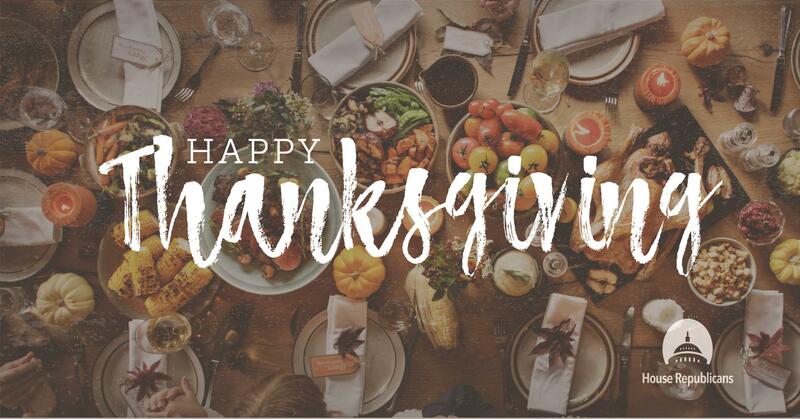 The next step is for the Senate to pass tax reform legislation, which I am hopeful they will do after Thanksgiving. I am eager to work with my colleagues in the Senate to ensure our final tax reform plan delivers relief to all Americans - from families living paycheck to paycheck to business owners struggling to keep their doors open. You deserve a tax code that works for you, not against you, and we are focused on delivering just that. Click HERE to read my latest on The Tax Cuts and Jobs Act in the Macomb Daily. Click HERE to see a video explaining how the Tax Cuts and Jobs Act will benefit all Americans. This month is National Adoption Month, a time when we celebrate adoption as a positive way to build families, raise awareness for the many children still waiting to be adopted, and encourage more families to choose adoption. Click HERE or the image above to hear my family's adoption story. I wanted to provide an update on the work my staff and I have done to serve Michigan's 10th District. I have attended over 150 meetings in Michigan's 10th District, my staff in DC and Michigan have held or attended over 1,500 meetings. We have returned over 5,900 constituent calls, and responded to over 37,000 emails and letters. We have also recovered over $300,000 in benefits owed to residents of Michigan's 10th District. As we continue to serve, please continue to stay in touch. Call us in D.C. at 202-225-2106, or in Shelby at 586-997-5010. You can also visit my website to send me an email.